October has been a very wet month. This means a lot of work for the rescue centre staff. It gets very muddy here, so the staff have to work overtime to make sure everything and everyone stays clean. Also, it means that the doggies don’t get walked/exercised as much. If you have time during the week or on the weekend when the weather is dry, please drop by for an hour or so to walk a few doggies. This really helps keep them healthy and calm, and also increases their chance of adoption since they aren’t so excitable and know how to walk well on the leash. Fluffy, who is only 2kg, was found wandering the streets. She was found and taken in by a very kind gentleman. She looked very sick and old. The vet said that it is difficult to tell how old she is but around 10 at least. She has an old eye injury and has lost most of her teeth. She has had treatment for the eye and she is healthy in every other respect. She is very friendly and loving. She has already gone on a tryout so we have our fingers crossed. Three little kittens were found abandoned in a paper box. They were not properly weaned yet and were very weak, but were otherwise healthy. They were fostered and now are healthy and happy. Two of the three have already been adopted and the third is waiting patiently at our rescue centre to be adopted. Xiao Mei Mei was found wandering a busy road by a nice lady. She didn’t have a chip or collar. We tried to find her owner but had no success. 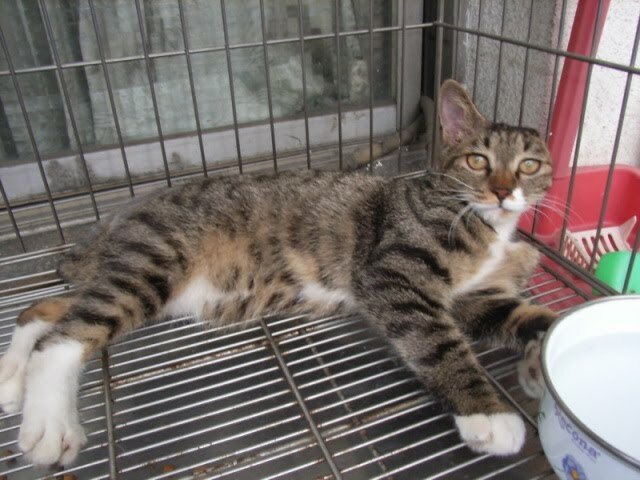 Xiao Mei Mei was put up for adoption and found a home very quickly. She is now in a loving home getting the attention and love she deserves. We have been trying very hard to complete the CNR project in Shen Keng. However, the remaining dogs are very wise to us now and have alluded us time and time again. But we won’t give up. It is our mission to make sure all the dogs in this area are spayed or neutered. As mentioned above, two of the three kittens have been adopted. 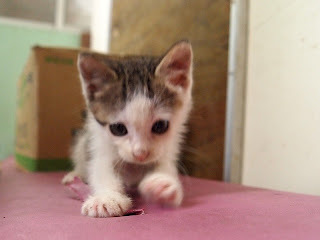 Bei Bei, Xiao Mei Mei, and Fluffy also were adopted to loving homes. Casanova, who was fostered last month, has already been adopted and is now happy in his new home. 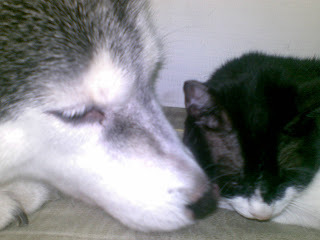 Kiki has gone to a new foster and has a wonderful gentle Husky brother to cuddle up to. 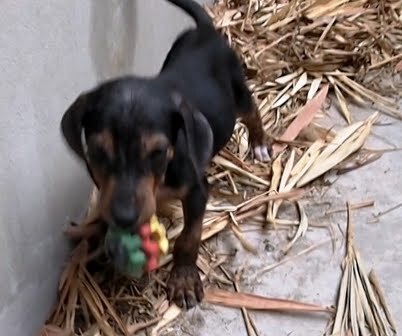 Ginger has also gone to a foster home, where he’s receiving lots of love and cuddles. Elvis also went back to his foster mom after she returned from her holiday. Unfortunately Foxy has returned to the rescue centre. Although her new mommy and daddy worked very hard with her, after 45 days they still couldn’t get close to her. 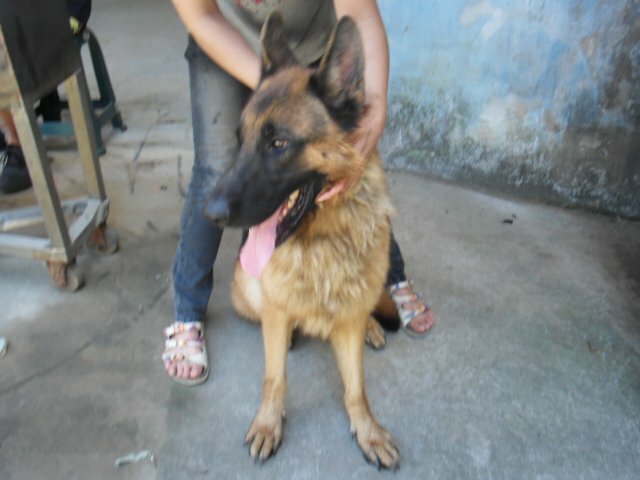 We are going to work with Foxy and hopefully she’ll be ready for adoption in the near future. 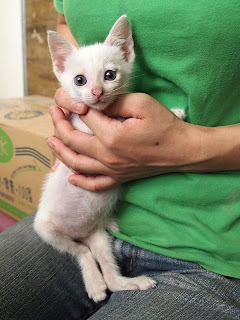 In November, Danica may need to come back to the centre from her foster home. 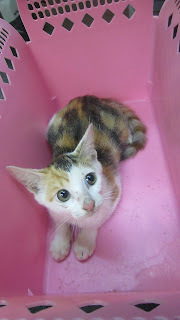 She is wonderfully healthy now thanks to her foster mom and we hope to find her a home soon. Rosy (the mixed Rottweiler) was unfortunately caught by the dog catcher this week. But she was quickly rescued and taken to the rescue centre. She has already gone into a foster home. 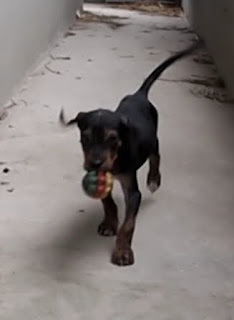 Rosanne (Rosy’s Rottweiler mom) has also gone into foster care, as we were very worried she would also get picked up by the dog catcher. She’s very well behaved. 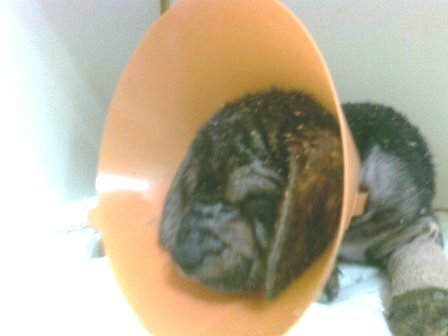 As always with all our rescues, we never put a dog or cat to sleep unless the animal is suffering greatly with little chance of recovery. We will always strive to make sure every animal is given the best treatment and best opportunity to live a happy and loving life. Remember, adopting saves lives! Please educate those around you to get their animal desexed and micro-chipped to help decrease the stray population. Start your day with Coffee! Coffee was in a car accident that robbed him of his jaw, one of his eyes, and almost took his life. He is one of the most senior dogs in our organization. We recently noticed that Coffee was losing his zest for life, so we brought him into our office to keep an eye on him. After 2 weeks, he has his mojo back and is full of pep. Coffee acts like a puppy again, jumping up and down whenever he sees people he recognizes. 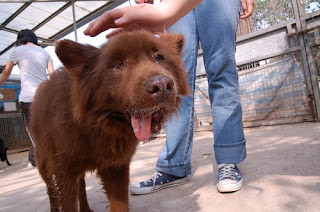 Coffee is a senior dog, who is missing a chin and an eye. Yet he is also very gentle, thoughtful and kind. He has never fought with other dogs at the center and will not bark uncontrollably. His only hobbies are to go out for walks and take naps. It is very easy to take care of him. Last week, we rescued Blackie, who was not much more than a walking skeleton. We were able to catch him without any problems and took him to the animal hospital. The vet gave us the good news that Blackie did not have any major health problems. Blackie just needs to be fed healthy food to help him regain his strength. We are very thankful to the kind lady who not only contacted us about Blackie, but also provided him with a warm place to stay and good healthy food. 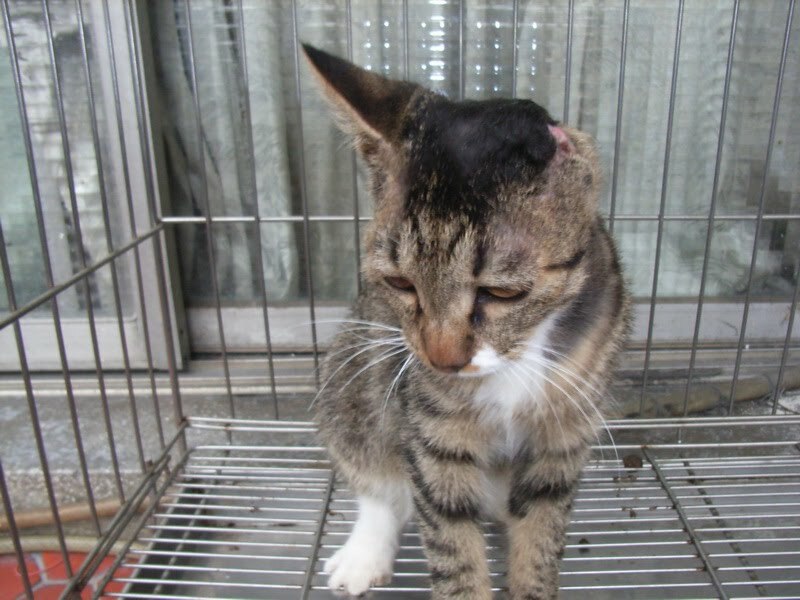 One of Nini’s ears was bitten off by some dogs when she was wandering on the streets. 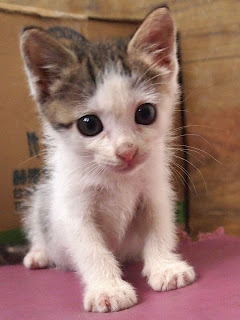 Luckily for Nini, she was rescued by a very nice woman, Mrs. Chen. 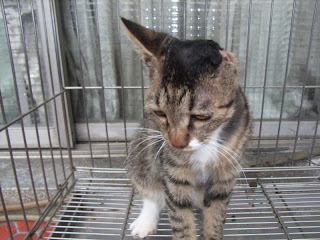 Although the treatment could not save her ear, Nini can still hear a pin drop and is otherwise in perfect health. Mrs. Chen asked AT to help Nini find a loving home. 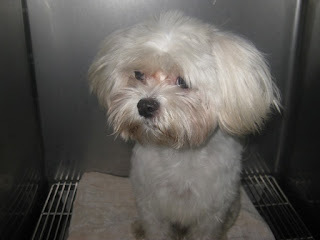 We are very happy to announce that today Nini found her loving family. Limited funding stops us from helping all the furries out there who need help. We need more people like Mrs. Chen, who provided Nini with a temporary home until we were able to find Nini her forever home. With the support of people like Mrs. Chen, we can help more animals.